Real-time GPS Tracking Devices coupled with the Track What Matters Fleet Management Software give you the tools and technology to stay connected to the drivers and vehicles in your commercial fleet. Track What Matters takes the time to match the proper tracking solution to your specific business needs. The online tracking system provides a simple, user-friendly solution to common fleet management obstacles. Fleet managers and dispatchers are able to track their vehicles by logging in with their personal and secure user names. Once logged in, a fleet manager will be able to see his or her vehicles on a Google Map. All vehicles are visible on the Google Map at the same time. The vehicle view refreshes every 30 seconds allowing the fleet manager to see up to date vehicle tracking information quickly. You can even leave the tracking system up on your screen all day! Did you know that our user-interface is designed for you to directly manage your fleet with a simple click of your mouse? It’s just that easy. You are not required to download any software, instead simply log into our online application and have a first-hand look at every vehicle and truck within your fleet. Of course, no vehicle tracking system would be complete without a set of reports. The Track What Matters system is very capable in this area, and again, very easy to access and utilize. Every GPS tracking report is available at the click of your mouse. You can focus your reporting on a single vehicle or the entire fleet. These reports are used to identify speeders, validate delivery and time sheets, as well as zero-in on any data outliers. 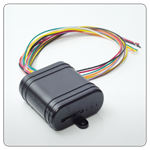 These real-time fleet and vehicle tracking devices are manufactured in the US, and are designed for an easy install, and quick deployment. This convenience allows any company, large or small, to seamlessly integrate our custom tracking system with their fleet. Finally, any good vehicle tracking system must have a solid support team behind it. Our approach at Track What Matters is to provide all you need with a human touch. So, our support is available 24/7 at no additional charge. Need Training? No problem! Give us a call and we will schedule a one-on-one training session with one of our GPS tracking support specialists. If you have any troubles or a questions arises, simply give our technical support team a call and they will happily take care of all your needs. Our line of Installed GPS Trackers provide an easy and effective way for managers of a variety of fleets to find and constantly know where all vehicles in their fleet are located. These devices easily and covertly install, allowing fleet managers to increase productivity, accountability and efficiency of their drivers! 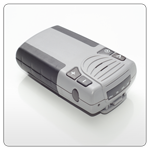 The Portable Tracking Device is ideal for real-time tracking of assets, vehicles, small fleets, and individuals. Optimized for today’s demanding workforce, these devices provides paramount location-based security, connectivity, and GPS performance.